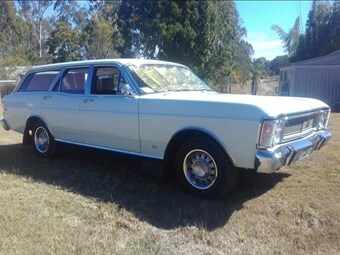 ‘As new’ condition Fairmont Wagon, what more could you want? Early V8 Falcons are fetching big money these days. Unfortunately we can’t all have GTs or HOs, but what can you get at the more realistic end of the market? This XW Fairmont might be a good example. Original and unrestored, the seller claims the car is presented as new. From the original owner to now, the car has been bestowed with nothing but the utmost care. Factory V8 with the four-speed auto, the car has reportedly travelled just 36,000 miles in its near 50 years of life. The seller has replaced brake hoses, plug leads, fuel pump, carburettor and alternator belt but still has all original parts that came off the car. There’s no rust as the car has been treated with fish oil numerous times, and all glass is original. The interior is as near perfect as you could want, with no visible cracks or wear. The car won Best Station Wagon at a Shannon’s Show n Shine, and will come with original Owner’s Manual, log book, workshop manual and two sets of original keys. Listed for $48,000, the car looks like an absolute gem. You’d be hard-pressed to build one to this calibre for the price. The car is based in Queensland, and you can check out the full listing here!